Delicate and original, the table centre Dress, designed by Benjamin Graindorge, is a really arty and quirky accessory. 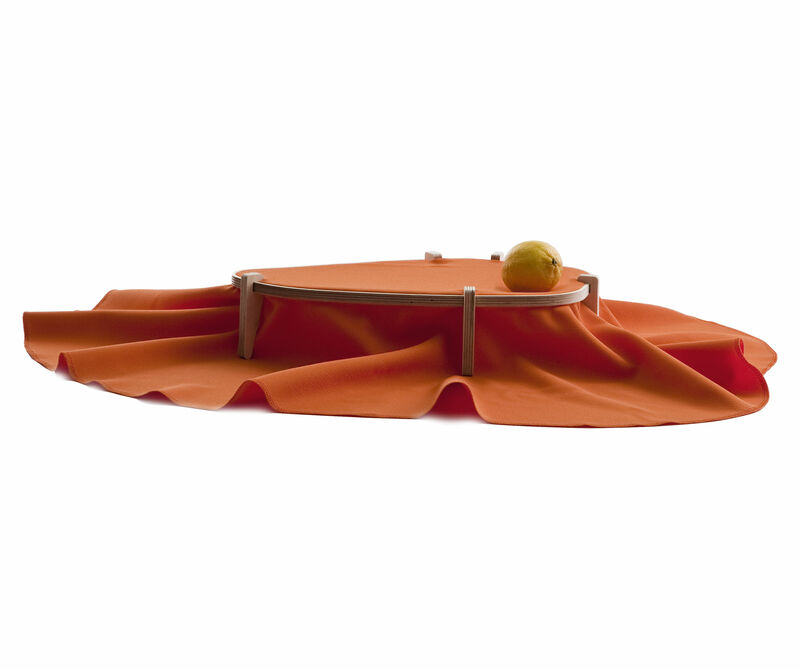 This oval table centre consists of a frame in birch plywood, on which was stretched a large piece of fabric. The result is a unique decorative element, which can host fruit on a table, but also serve as a storage compartment in an entry, for example. The table centre Dress is available in blue and orange.